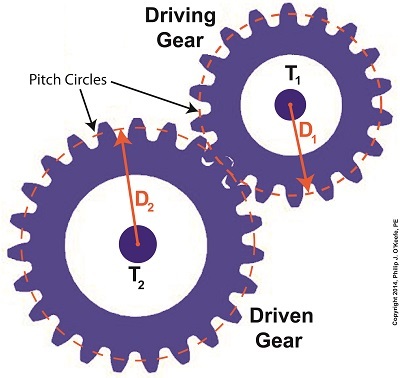 We’ve been working towards a general understanding of how gear trains work, and today we’ll solve a final piece of the puzzle when we identify how increased gear train torque is gained at the expense of gear train speed. 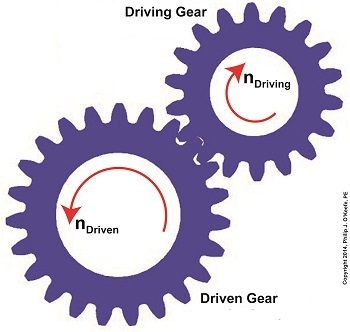 For the purpose of our example we’ll assume that the driving gear is mounted to an electric motor shaft spinning at 100 revolutions per minute (RPM) and which produces 50 inch pounds of torque. 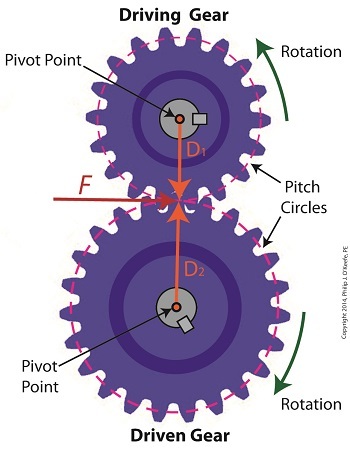 Previous lab testing has determined that we require a torque of 100 inch pounds to properly run a piece of machinery that’s powered by the motor, and we’ve decided that the best way to get the required torque is not to employ a bigger, more powerful motor, but rather to install a gear train and manipulate its gear sizes until the desired torque is obtained. 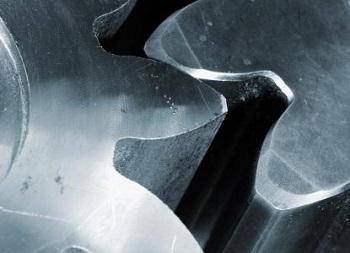 We know that using this approach will most likely affect the speed of our operation, and we want to determine how much speed will be compromised. 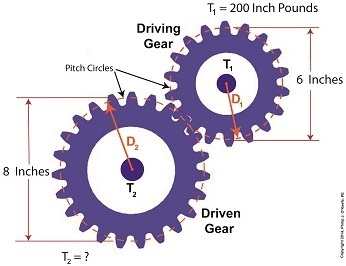 So if the torque on the driven gear needs to be 100 inch pounds, then what will be the corresponding speed of the driven gear? 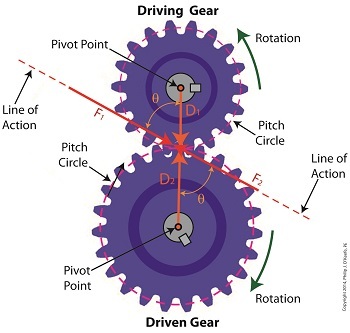 This tells us that in order to meet our torque requirement of 100 inch pounds, the gear train motor’s speed must be reduced from 100 RPM to 50 RPM, which represents a 50% reduction in speed, hence the tradeoff. 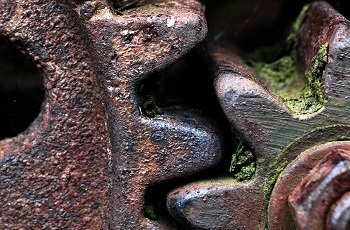 This wraps up our blog series on gears and gear trains. 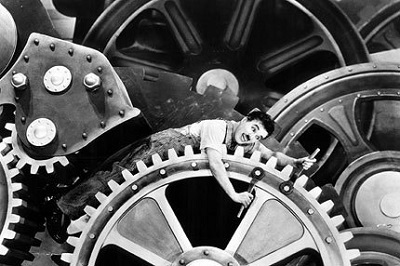 Next time we’ll move on to a new topic: Galileo’s experiments with falling objects.